This Sunday we begin perhaps the most sacred time of the liturgical year with Palm Sunday or Passion Sunday. We recall the entry of Christ into Jerusalem and the events leading to the crucifixion. It is a somber week of story and remembering; of entering into the narrative that is central to our faith. 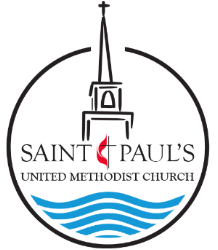 In the tradition of Saint Paul's UMC, it is a week that we share with our brothers and sisters in Christ across denominational lines. 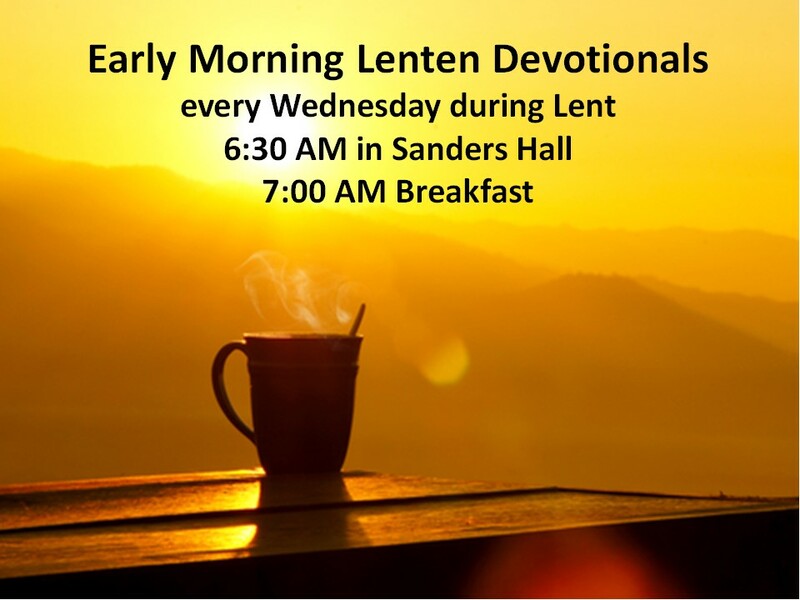 I want to encourage you to be present at our various Holy Week offerings. 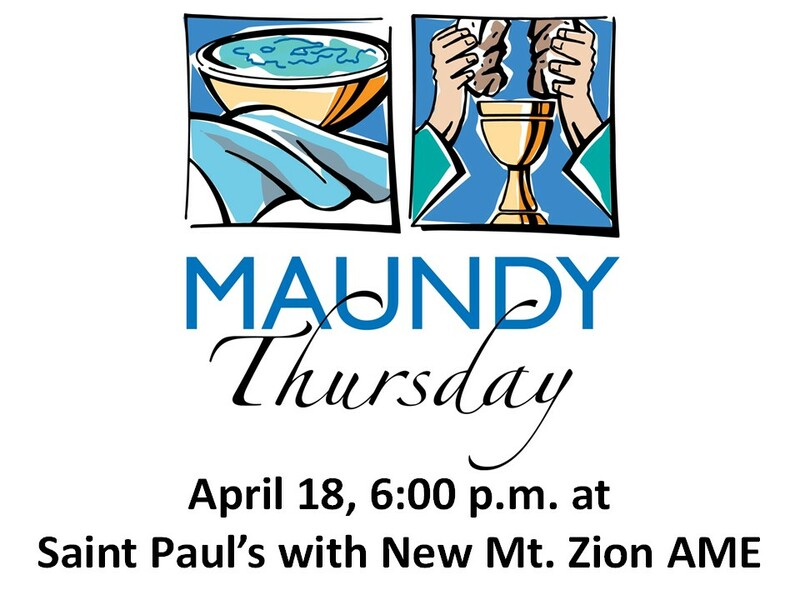 We are hosting this year Maundy Thursday service with New Mount Zion AME, which is always a rich time of fellowship, first at the table of Christ, and later at the table of generous fellowship. 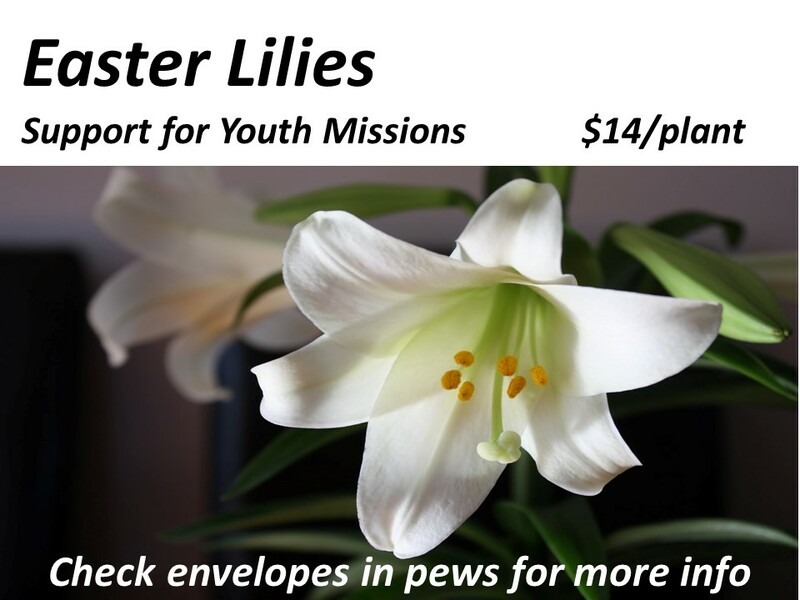 I am looking forward to being with you on Palm Sunday - our youth and children will be participating in worship, and as always we will be blessed by what they bring to worship. 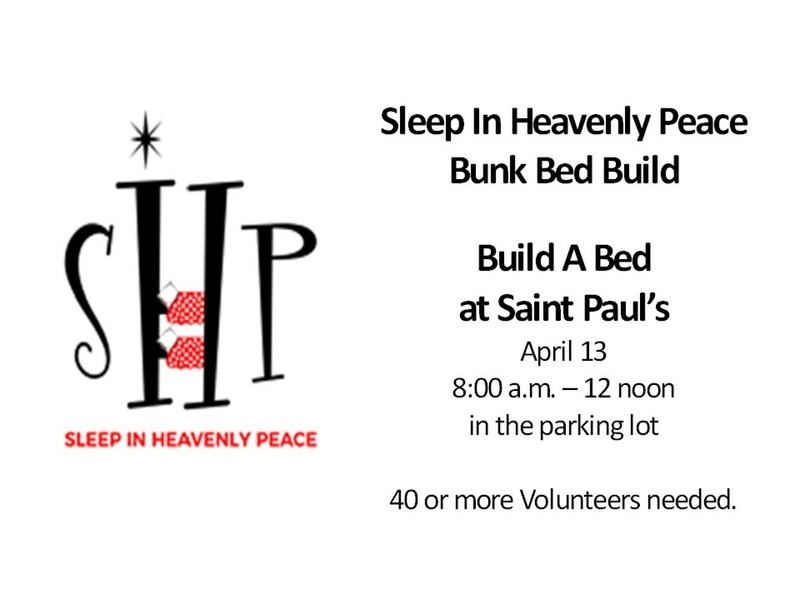 Please join us and support the amazing young people of Saint Paul's UMC. This called Charge Conference is to approve the sale of the Patch Drive parsonage and the purchase of a more suitable associate parsonage. All members present are eligible to vote. Due to construction fumes, Sanders Hall and the 300 hallway rooms will be unavailable for Sunday school classes. 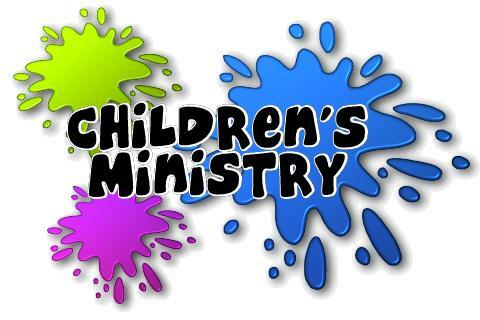 ALL KIDS SUNDAY SCHOOL CLASSES will be in session starting at 9:40a.m. so the parents can get up to the Sanctuary for the Charge Conference! 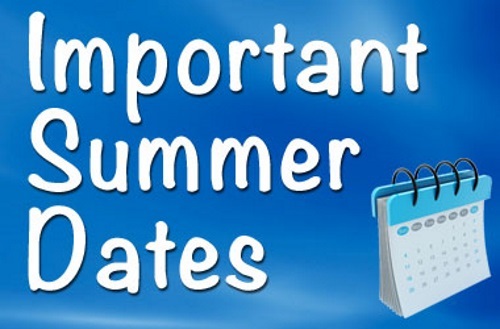 Preschoolers meet in Room 325 (nursery hallway), K & 1st - 203, 2nd & 3rd - 202, 4th & 5th - 204. 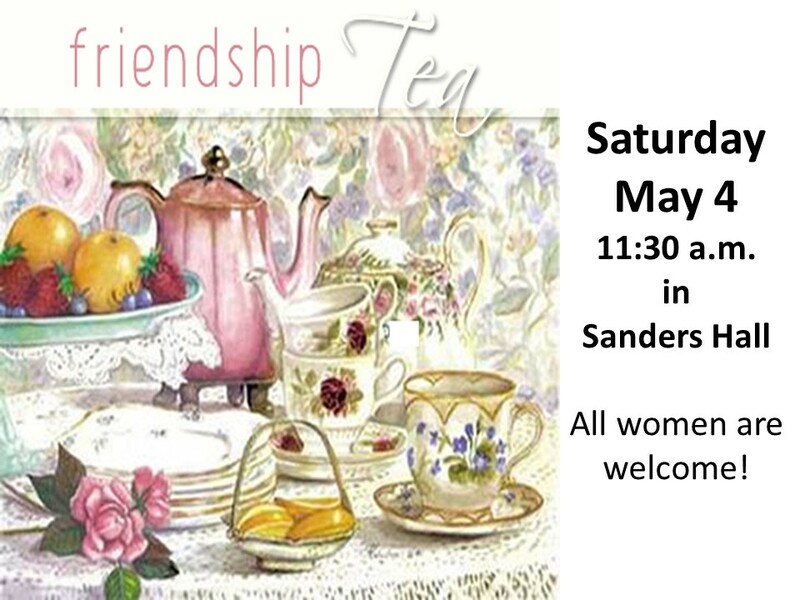 Hope to see you all on Sunday! All the young people are invited to join the Palm Processional during our first hymn at both the 8:30 and 11:00 services this Sunday, April 14. 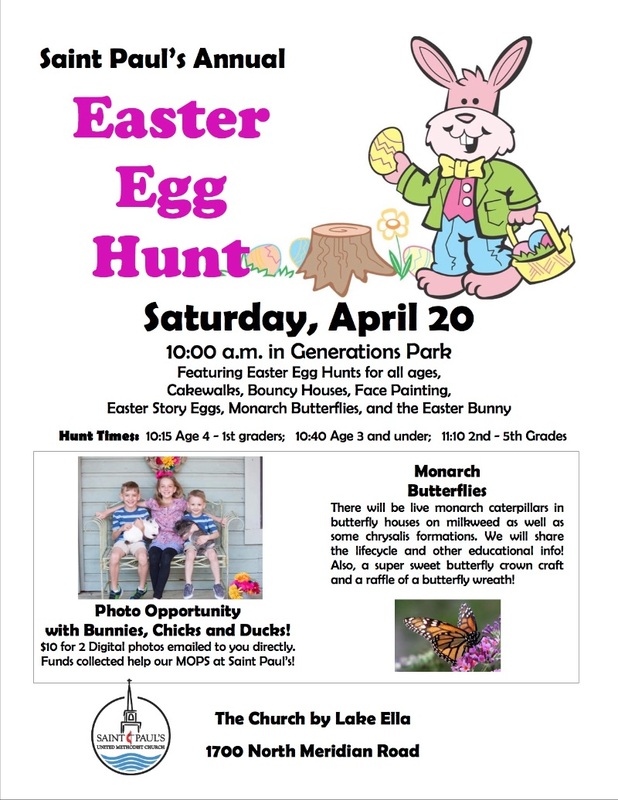 Please bring the kids and gather together in the narthex before the services to receive a palm to wave. Kids will return to sit to their parents following the procession. THANKS! On Monday, April 8, the floors downstairs in the education building will be waterproofed to ready them for flooring. The fumes will be strong for the better part of the week, April 8-14. We have moved or cancelled any meetings or events scheduled in Sanders Hall down the hallway to room 300. Please check the church calendar to see the revised schedule. The 200 level and the Foundation should be fine. STILL NEEDED: Please bring your donations of Easter Candy to be stuffed in our Easter Eggs for the Community Hunt this week. Bring it with you to church on Sunday or drop it by the church office during the week. Collection bins are in the narthexes and in Sanders Hall. THANK YOU! 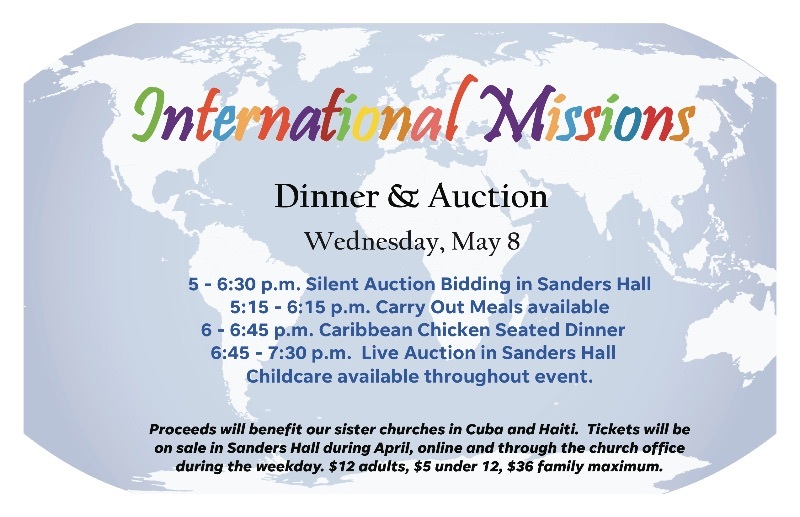 To purchase tickets online for the International Missions Dinner & Auction, please click here! Sunday School Classes for ages 2 - 5th grades! 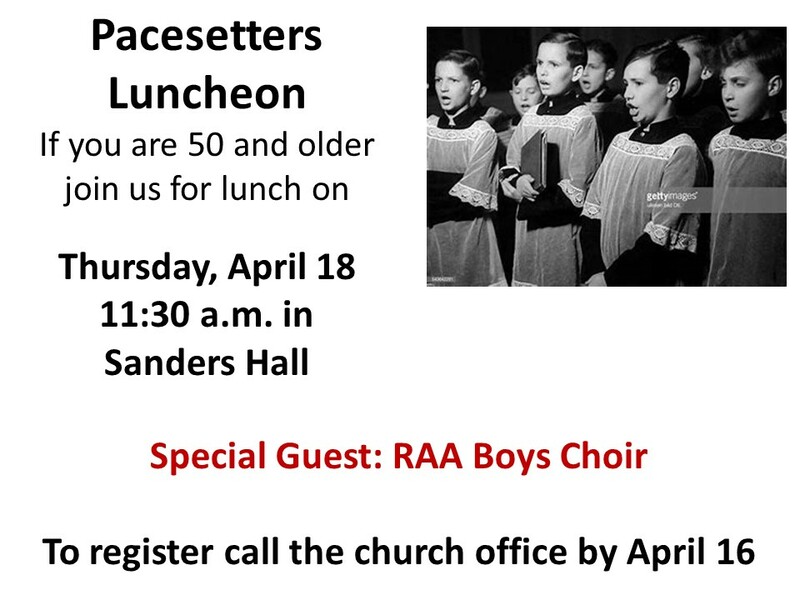 For directions to the kid's classes, stop by the Welcome Table inside Sanders Hall starting at 9:30 a.m.
SPARKS CHOIR will sing in the 11:00 service this Sunday, April 14. We’ll meet in the sanctuary at 10:40 a.m. to warm up. We’ll also be participating in the Procession of the Palms. Weekly, 5:30 - 6:00 p.m.
Also known as PARENT AND ME MUSIC! We encourage youth to share freely and to express doubts and questions as well as their beliefs. Our only rule is to show respect for one another. And we ALWAYS have snacks! For details contact one of our amazing teachers, Charlie Guyton, 599-9423, or Meg Guyton, 443-4175! On April 14, we will meet in the Foundation & Generations Park! Jim Allen, Gladys Awbrey, Laurie Batten, Betty Blair, Terry & Carol Broadway, Louise Carpenter, Horace Caton, Charlotte Chellman, Ivy Lee Daniel, Norma DeRuyter, Margaret Farnell, Pat Giglio, Nancy Graham, Oriska Henn, Ralph Hook, Leroy Irwin, Bill Jones, Robert Kennedy, Dottie Melton, Jack Pelham, Ruth Riley, Audrey Robbins, Richard Robbins, Dot Roberts, Terry Shoffstall, Ben & Betty Spivey, Norma Strickland, Pam Strickland, Melanie Tredik, Sosisson Church, Haiti, Peace for Haiti, Yaguaramas Methodist, Cuba, The United Methodist Church, reconciliation and direction. 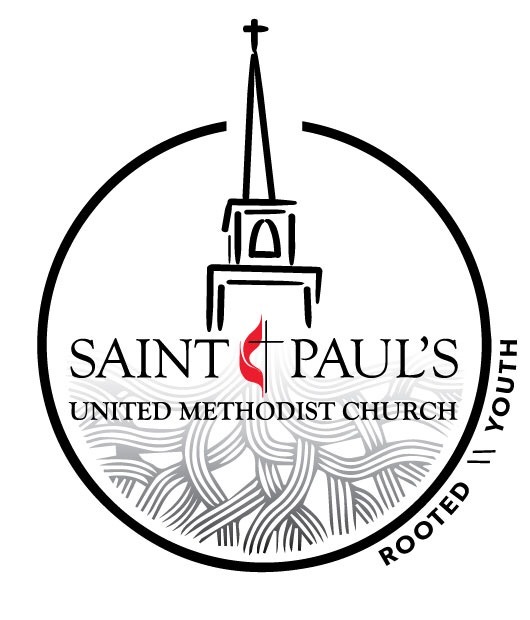 Copyright © *|2019|* *|Saint Paul's UMC|*, All rights reserved. 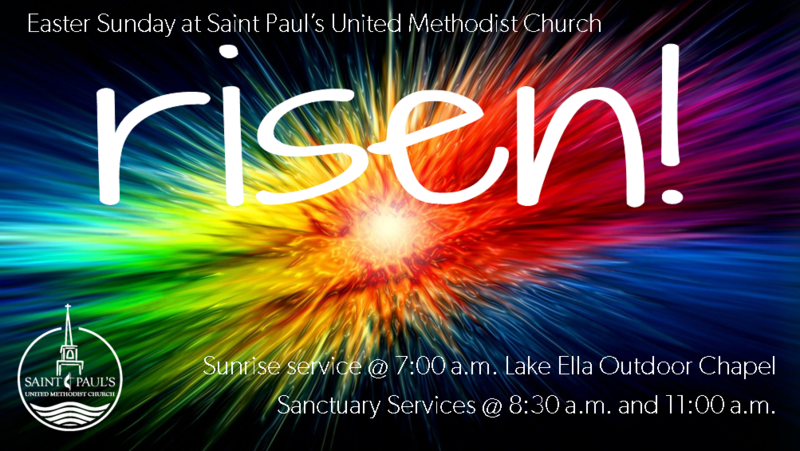 You are receiving this email because you opted in at our website or requested to be added through the church office.